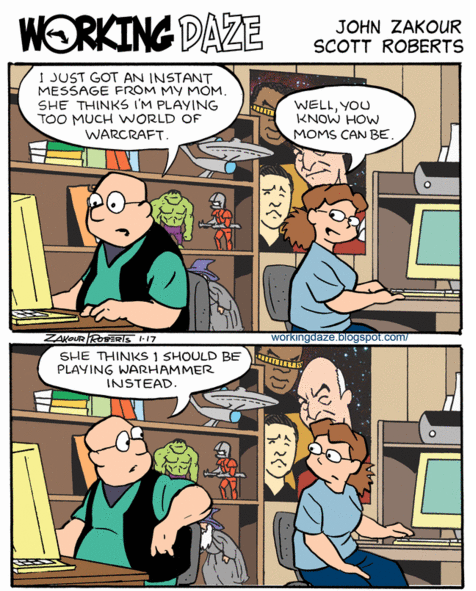 I saw this a couple of days ago and had to share it with you folks, especially those who play/have played Warcraft. lol..been there done that. That's like 1 friend saying it to another. I've done it plenty of times..
"Umm dude..You've been playing *insert game they're playing here* you should play *insert game I'm currently playing here*"
Breygon wrote: I saw this a couple of days ago and had to share it with you folks, especially those who play/have played Warcraft.